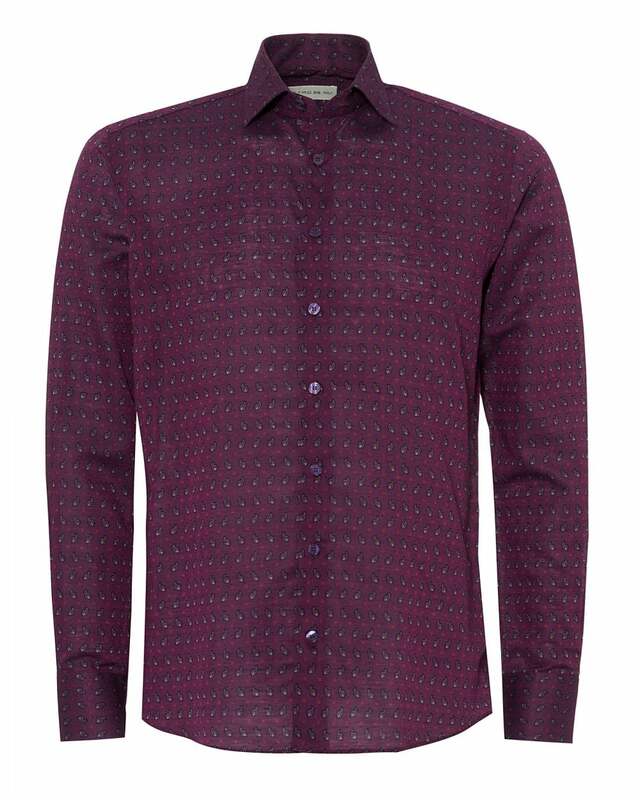 The purple paisley-print by Etro winds back the clock on a soft cotton shirt. With buttoned cuffs, it is perfect for both casual and smart events. Wear with a pair of blue trousers and leather shoes.